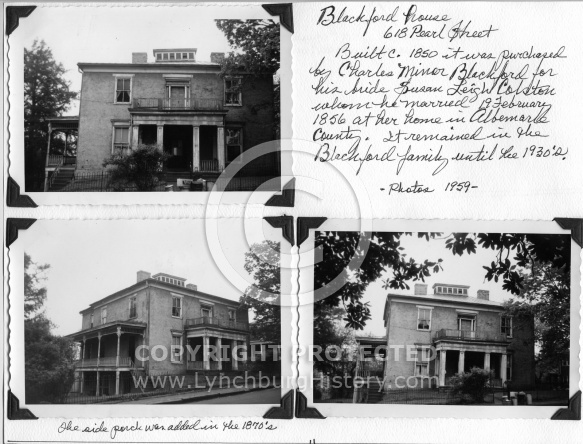 Description: Built around 1850 and purchased by Charles Minor Blackford, when he married Susan Leigh W. Colston in 1856 at her home in Albemarle County. The house remained in the family until the 1930's. Photos made in 1959.